During the US occupation of the Philippines in 1900, a squad of American soldiers settle in a small, rural village and learn how to live and negotiate with the natives. Headed by a respected elder, referred to as "Amigo," the villagers are forced to deal with this foreign presence as rules are set, curfews introduced and small attempts at democracy initiated. At the same time, the village must navigate its tense relationship with a rebel group leading the resistance to the occupation. Amigo's brother is the rebel leader, and his son runs off to join them, so he constantly finds himself torn between balancing what is right for the village and what this means to his family. 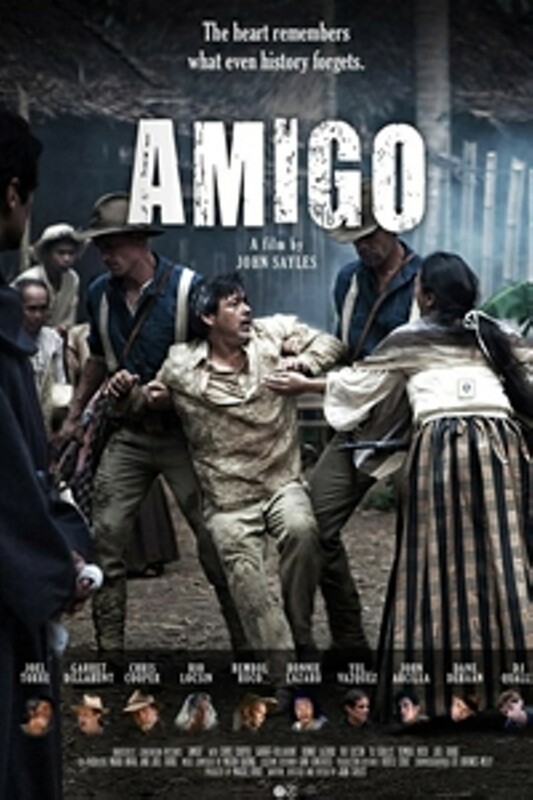 Amigo is not showing in any theaters in the area.